BRYAN EATON/Staff photo. 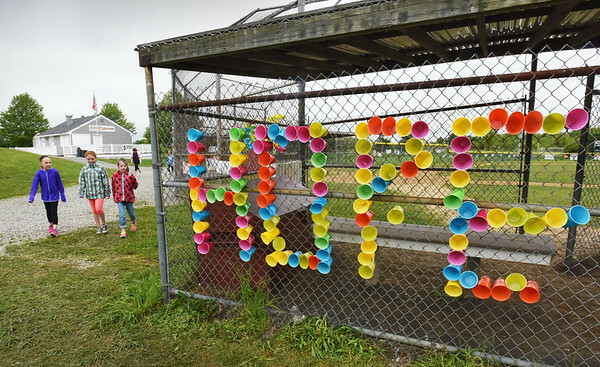 Students at Cashman Elementary School in Amesbury held a Jr. Relay For Life to raise money for the American Cancer Society. Making their way around the baseball field, are, from left, Hailee Tersolo, Daragh Bentley and Malin Greaney, all 9.